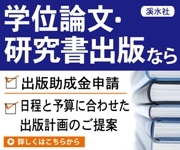 The educational landscape of Japanese higher education is changing to meet the demands of increasing globalization. In terms of English language education, there has been a surge of cross-border education programs (e.g. study aboard) and a demand for English for academic and specific purposes. The acceleration of globalization also has ramifications at other levels of the English educational scene in Japan as exemplified by new initiatives in foreign language education at the primary level. Such changes have had a great impact on the conditions of English learning and teaching. For example, clear learning outcomes specifying communicative competence are strongly advocated, leading to curriculum reforms that promote a ‘teaching English in English’ policy in the secondary school context and EMI (English medium instruction) at the tertiary level. However, these changes have also raised numerous issues, ranging from the need for coherent English curricula from the primary to the tertiary levels, assessment of language programs, pedagogy options to teacher training, and professional development. The theme of the 57th JACET International Convention (Sendai, 2018) in Tohoku will examine how quality learning outcomes in English education can be ‘assured’ at all levels. We will explore how classroom practitioners, curriculum and materials designers, program administrators, policy makers, researchers, and academics can pursue or engage in activities to ensure that quality learning outcomes are achieved in educational programs. In this regard, it will be important for participants to discuss both ways to define quality learning outcomes and ways to measure learning achievement. We will not be looking for a single comprehensive solution but rather wish to identify and delineate the challenges at stake in promoting the achievement of quality learning outcomes in language education in our knowledge-based, globalized society. Valuing and respecting diversity, we invite all interested educators from around the world to come and join the discussion. Dr. Nobuya Itagaki is Professor Emeritus at Miyagi University of Education. His research interests include English education and psycholinguistics, especially vocabulary learning, grammar teaching and learning, and English teaching at primary school level in Japan. Abstract: The ability to communicate via a lingua franca has never been as important as it is today, for everything from global tourism to multinational business to collaborative academic research and development. The World Economic Forum (2015) has estimated the number of English users to be about 1.5 billion, while the number of those using it as a native language to be less than 400 million. This means that interactions using English are very likely to occur among ELF (English as a lingua franca) users. As language educators, how can we prepare our students for such real-life situations? We may not need to aim for native-like production, but it does have to be understandable to those from other language and culture backgrounds. This raises the issues of what kind of English we should teach and how to check whether or not we have been successful. Another factor that cannot be ignored in the language classroom today is our rapidly evolving global society, which is undergoing what has been called the Fourth Industrial Revolution (World Economic Forum, 2016). This brings to the fore two other issues: what will our students need for jobs in the 21st century and how do we work with Generation Z students who are digital natives. This lecture will try to find answers to the three questions of how to prepare students to master the English that they will need for life in the 21st century, how to motivate this generation of students, and how to assess our teaching efforts. Dr. Judy Noguchi is Professor Emerita of Kobe Gakuin University, where she served as the first Dean of the Faculty of Global Communication. She served as Vice-President of JACET from 2015 to 2017 and as President of JACET Kansai Chapter from 2010 to 2015. She has been involved in ESP since the start of her career, teaching students in science, engineering, medicine and other disciplines. She has worked on the development of teaching methods and materials for ESP as well as the building of specialized corpora for science and engineering: PERC (Professional English Research Consortium), JECPRESE (The Japanese-English Corpus of Presentations in Science and Engineering), OnCAL (The Online Corpus of Academic Lectures). Her academic degrees are B.S./B.A. (Chemistry, University of Hawaii); M.Ed. (TESOL, Temple University); Ph.D. (Applied Linguistics, University of Birmingham). Involving Everyone in Enhancing Quality of Life in Language Education: explorations and insights from praxis. Abstract: For many decades the issues raised by the notion of communicative competence in language education have been discussed. Until recently, though, the agency potential of learners, teachers, curriculum developers, teacher educators and policy-makers working together has been overlooked. In this paper I argue that the Exploratory Practice principle of explicitly aiming to involve everyone in practitioner research affords opportunities for quality of life and learning in language classrooms. The field has moved from a focus on communicative competence to symbolic competence and intercultural communication. In a similar trajectory, we have moved from ideas about teachers researching their classrooms as part of curriculum development, to linking research and pedagogy and the powerful movement for practitioner research. More recently, the related notions of learners as key developing practitioners, and team teaching/team learning, have been brought to the fore. As yet, however, these trajectories have not been brought together. Here, then, I analyze communicative and symbolic competence through the lenses of practitioner research and intercultural communication. I discuss a number of case studies situated in English for Academic Purposes programmes and Teacher Development initiatives at universities in Brazil, Japan, Turkey and the UK. Inviting learners, alongside teachers, curriculum developers, teacher educators and policy-makers, to puzzle about their experiences brings to the surface important questions about identity, motivation, and well-being. I conclude that the communicative, symbolic, and intercultural issues encountered whilst working for deeper understandings across cultural borders are central to quality of life, and hence learning opportunities, for all those involved in language education. Dr Judith Hanks started teaching in 1987 and has worked as a language teacher, teacher educator and lecturer in China, Italy, Singapore and the UK. She is now Associate Professor at the School of Education, University of Leeds. She has been working with colleagues from Brazil, China, Japan and UK to develop a framework of principles for practitioner research for language teachers and learners. This culminated in: The Developing Language Learner: an introduction to Exploratory Practice (Allwright & Hanks, 2009), and her most recent book: Exploratory Practice in Language Teaching: Puzzling about principles and practices (Hanks, 2017). 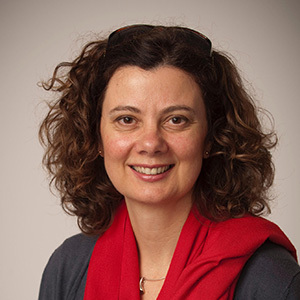 Judith’s research interests lie in the areas of practitioner research, teacher education, professional development, and intercultural issues in language education. Hanks, J. (2017b). Exploratory Practice in Language Teaching: Puzzling about principles and practices. London: Palgrave Macmillan. 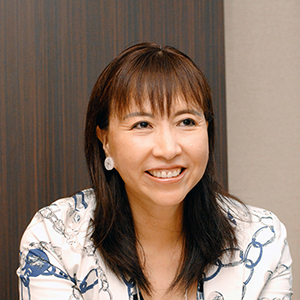 Dr. Naoko Ozeki is a professor at the School of Global Japanese Studies, Meiji University. Her areas of interest are speaking production, learning strategies, learners’ autonomy, and CEFR. She works actively to improve English education at the secondary level with the education board of various prefectures. 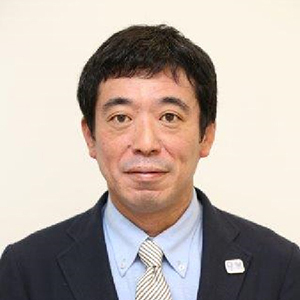 Mr. Yasuhiro Obata is director for International Education Division, Elementary and Secondary Education Bureau, Ministry of Education, Culture, Sports, Science and Technology. His area lies on foreign language education in Japan, and he advances English language education at the elementary and secondary school levels. 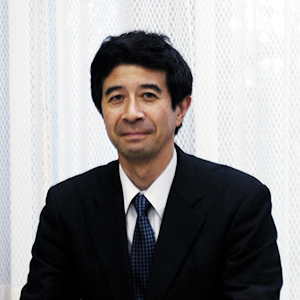 Dr. Masayuki Fujimura is a vice president for admission affairs of Sophia University and a professor of the department of Sociology. His special tasks as the vice president are the entrance examination reform and the cooperation with some high schools. Those tasks are new challenges for many universities. 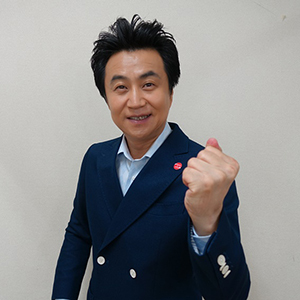 Tetsuya Yasukochi is the founder and representative director of Practical English Promotion Systems Foundation. He is a member of the Expert Panel on English education at MEXT and an eager promoter of 4 skills exams. He has been teaching English to junior high school students, high school students and college students for 28 years. Hitoshi Muranoi is a professor of applied linguistics in the Department of Education at Tohoku Gakuin University. He specializes in second language acquisition and teaches courses in second language acquisition and TEFL methodology. He is editor-in-chief of Genius English Communication I-III, an EFL textbook series authorized by MEXT. Miyuki Matsuo is an English teacher at Iwate Prefectural Kozukata Senior High School. She has taught English as a foreign language at various senior high schools and delivers lectures and workshops as an advising teacher appointed by the Iwate Prefectural Board of Education. Hideaki Kogo is a Professor in the Department of International Studies and also the Director of the Center for Innovation in English Education at Keiai University. Previously, he worked at MEXT as a Senior Specialist for Curriculum. Most of his research focuses on TEFL and foreign language policy in Japan. Abstract: This symposium is based on special lectures conducted as part of a joint project (Integrated Training Program for Elementary School Teachers of English in Tohoku Area) between Miyagi University of Education (Division of English Education Course and Research Institute for Capacity Development of Educators, Elementary School English Education Research Division) and Ministry of Education, Culture, Sports, Science and Technology. The special lectures were held mainly for elementary school of teachers of English to improve their skills and instruction of English teaching, pronunciation, vocabulary, grammar, English communication, and understanding foreign cultures in their elementary school classes. Accordingly, in this symposium, we will first focus on the teaching of English pronunciation to elementary school students in terms of theoretical and practical viewpoints in various speaking fields. Next, the panelists, Professor Matsusaka and Professor Tomita, would like to discuss possible problems which elementary school teachers of English may face in their classes. Also, they will introduce methods of English phonetics that they should focus on for elementary school students to learn accurate and current English pronunciation of both word level structure and sentence level structure (e.g., Segments (consonants and vowels), Suprasegmental (stress, intonation, and rhythm), and Connected Speech). Finally, we would like Professor Emeritus John Wells to give us comments and suggestions to improve our lectures from the point of view of a distinguished phonetician. John Wells is Emeritus Professor of Phonetics at University College London and a Fellow of the British Academy. His research interests are descriptive phonetics, lexicography, and language teaching. He was formerly the Director of the UCL Summer Course in English Phonetics and President of the International Phonetic Association. He has extensive experience as a contributor to radio and television programmes. After retirement he wrote a widely read phonetic blog, compilations from which have now been published in book form. He is also a former President of the World Esperanto Association and of the English Spelling Society. He has given lectures on English phonetics in many countries around the world. 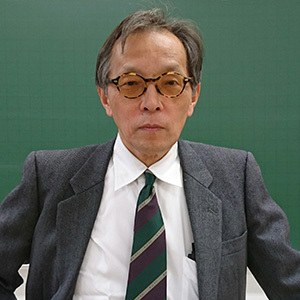 Hiroshi Matsusaka is a professor at Waseda University. 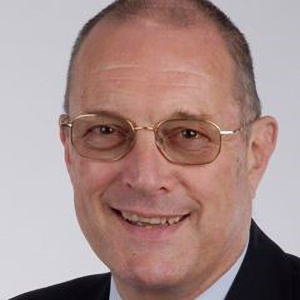 Teaching TEFL and phonetics, he has trained students for a career as English teachers and has also presented TV and radio educational programmes with a focus on English pronunciation. His publications include a book on English phonetics for speakers of Japanese. Kaoru Tomita is currently a professor of linguistics at Yamagata University. Her research interests include phonetics, especially substitution of native language phonetic features to those of target languages. Tetsuo Nishihara is currently full professor of linguistics at Miyagi University of Education. His research focuses on theoretical linguistics: phonetics, phonology and morphology, especially their interaction in various speaking genres. Don’t be afraid of intonation! Abstract: English has a rich intonation system, which can seem daunting both to teachers and to learners. We should concentrate on those teaching points that can readily be understood and learnt. In my view, this means concentrating on tonicity (also known as accentuation or placement of the nucleus/tonic). Furthermore, most English sentences can be given a variety of possible intonation patterns: for the learner, there are typically numerous right answers to the problem of what tone would be acceptable, while the tonicity is in general determined by the pragmatics. Hence the most important goal should be mastery of tonicity. Most learners need not worry about fine details of pitch contours, although an ability to distinguish between falling and rising tones is undoubtedly useful. Quality is best assured by teaching what is both useful and true. 1982 Accents of English. Three volumes. Cambridge University Press. 1990, 2000, 2008 Longman Pronunciation Dictionary. Pearson Education. 2006 English Intonation: an Introduction. Cambridge University Press. 2014 Sounds Interesting. Cambridge University Press. 2016 Sounds Fascinating. Cambridge University Press. Abstract: In Korea, the purpose of the College Scholastic Ability Test (CSAT) is to assess students’ academic capacity to enter the university by testing whether they have truly followed the school curricula faithfully. It appeared that the assessment system until 2016 has focused on relative ranks among students, but has caused excessive competition to get the highest scores possible over the last twenty years, resulting in higher spending on private education (hagwon). Particularly the cram schools’ English classes disproportionately concentrate on skills to solve CSAT questions rather than genuinely improving communicative abilities. In December 2014 The Ministry of Education announced that it would adopt an absolute grading system (AGS) for English scores in the CSAT, starting from November 2017, and discard the norm-referenced grading. The MOE hoped that the AGS of CSAT English would eventually serve to normalize English education by having teachers place more emphasis on improving students’ communication skills rather than on solving CSAT questions. This presentation describes the rationale behind the implementation of AGS for CSAT English by the MOE and how the criteria and grades of AGS have been developed and set. Then it deals with perceptions by contemporary teachers and different stakeholders of English by touching on the pros and cons. Finally, it discusses the consequences of AGS for CSAT English in comparison with the other subject tests of CSAT such as Korean and math. Young Shik LEE is Professor of English Language Education, Hannam University. He obtained BA from SNU, MA from the University of Warwick and PhD from Southampton University. At Hannam he was formerly Dean of College of Education and Director of Foreign Language Education Center. As Fulbright Visiting Scholar, he went to Dept. of Applied Linguistics and TESL at UCLA. He has been Executive Director of Asia TEFL since 2003, and is currently President of KATE (Korea Association of Teachers of English). Abstract: A common feature among the AILA=East Asia countries is the increasing rate of high school graduates entering colleges and universities every year. In Korea, more than 90% of high school graduates today enter colleges and universities. In China, the number of college students already exceeds 7 million. Although the rate of increase is much smaller than the other two countries, the Japanese rate is still increasing. When the college entering rate becomes more than 50%, it is called “popularization of college education.” Korean and Japanese colleges are already in this category, and China is expected to reach the category this year. “Popularization of college education” is a good phenomenon because more young people have the opportunity to receive higher education. However, it may also accompany other problems. One of them is the widening divide in abilities among college students, and English ability is not an exception. Therefore, how to assure quality outcomes in English education is the next important assignment for English teachers to deal with. Three speakers of AILA-East Asia will introduce their efforts to maintain quality outcomes of their students’ English abilities, which will give us great suggestions. They will also inspire us how we can increase the effectiveness of our English teaching. The first speaker is, Dr. Junkyu Lee, representing ALAK. The second speaker, Dr. Lou Shaoqian, represents CELEA. The last speaker is Dr. Atsuko Watanabe who represents JACET. We expect a good, lively discussion with all the participants. Junkyu Lee is Associate Professor of English Education (Graduate School of Education) at Hankuk University of Foreign Studies. His research focus is L2 psycholinguistics, individual differences in L2 learning and L2 research methods. His research can be found in Applied Linguistics, TESOL Quarterly, and Studies in Second Language Acquisition. Lou Shaoqian, Ph.D. in Applied English Linguistics (CUHK), is currently a professor in the School of Foreign Languages and Literature, Beijing Normal University. Her research interests include task-based language teaching and learning, language assessment, Chinese as a second language teaching and learning, and English teacher education and development. Atsuko Watanabe is an Associate Professor in the Faculty of Language and Literature at Bunkyo University. She holds a Ph.D. from the Institute of Education, University of London on the topic of reflective practice as a development tool for in-service high school teachers of English in Japan. Her research interests include reflective practice, teacher cognition, researcher reflexivity, and qualitative interview methods. Haemoon Lee, Ph.D. in Applied Linguistics from Georgetown University, is a professor of English Language and Literature at Sungkyunkwan University, Seoul, Korea. Research interests are focus on form, implicit and explicit second language learning. Currently Dr. Lee is the President of ALAK, and the Dean of Translation and TESOL Graduate School of Sungkyunkwan University. Miao Xingwei is a professor and dean of School of Foreign Languages and Literature, Beijing Normal University. He holds an M.A. degree in TEFL (Beijing Foreign Studies University, 1994) and a Ph.D. degree in linguistics (Fudan University, 1999). His research interests include functional linguistics, discourse analysis, pragmatics, stylistics and applied linguistics. Masaki Oda, Ph.D. in Applied Linguistics from Georgetown University, is a professor of Applied Linguistics and Director of Center for English as a Lingua Franca at Tamagawa University, Tokyo, Japan. His primary research area is sociopolitical aspects of language teaching. He is the Director of Academic Affairs of JACET and the Vice President for Membership of AsiaTEFL. Chitose Asaoka, Ph.D. in education from University College London, is a professor in the Faculty of Foreign Languages at Dokkyo University, Japan. Her research interests include teacher education and teacher professional development. 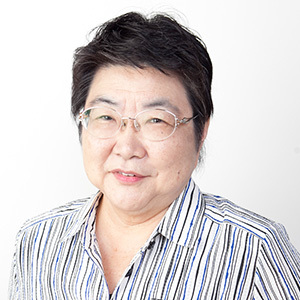 Hisako Yamauchi, Ph.D. is a former Vice President of JACET and a former professor of the University of Nagasaki. She is currently a member of JACET Academic Affairs Committee in charge of AILA.